Blessings during this Holy Week. Before the start of the Easter holiday, we had a morning worship. 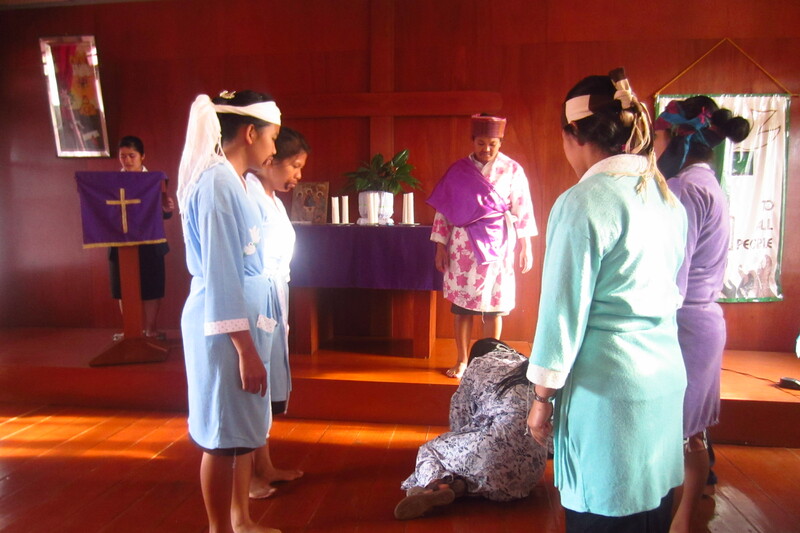 The 2nd year class I teach performed a role-play on the crucifixion of Jesus. I wrote the basic text in English, and they organized the acting. Most of them have a low level of English, so it was great to see them study and make the effort to speak confidently in their performance. Jesus being questioned by Herod.